See fruit shaped like a naked woman: real or fake? 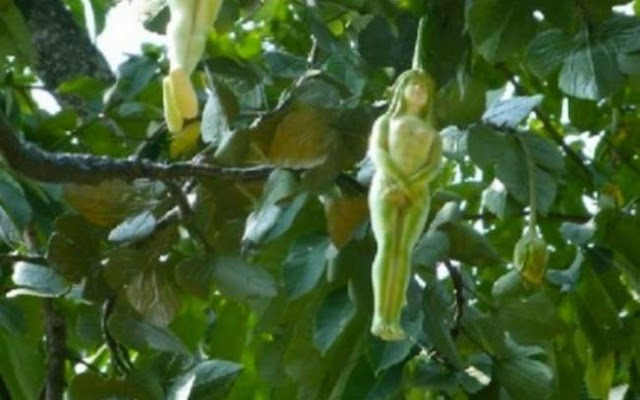 It seems like this tree bears fruits in shaped like young women. 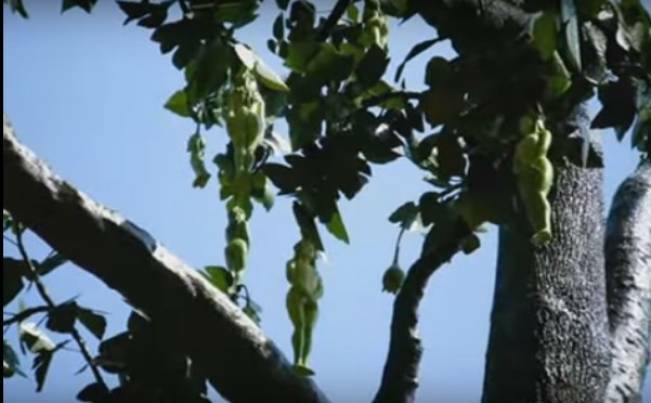 Some people filmed this unusual fruit on camera. People are shocked by what they see on those pictures. However, not everyone believes this is for real. Ancient myths of Buddhism tell us of the sacred tree, which bears the womanlike fruits. This tree was created by one of their gods, whose daughter walked through the woods and was attacked by terrifying men. So, her father created the tree with the female fruits to catch their attention and make his daughter safe. The myth tells us that those who take the fruit and make love with it, fall asleep for four months and lose their power forever. Do you believe this story is true?